Proverbs Scramble, week eight reading. but a foolish woman tears it down with her own hands. those who take the wrong path despise him. but the words of the wise keep them safe. but you need a strong ox for a large harvest. but harsh words make tempers flare. but the mouth of a fool belches out foolishness. keeping his eye on both the evil and the good. a deceitful tongue crushes the spirit. whoever learns from correction is wise. but the earnings of the wicked bring trouble. the heart of a fool has none to give. but he delights in the prayers of the upright. but he loves those who pursue godliness. whoever hates correction will die. 11 Even Death and Destruction hold no secrets from the Lord. How much more does he know the human heart! so they stay away from the wise. a broken heart crushes the spirit. while the fool feeds on trash. but the Lord gives the right answer. but the Lord examines their motives. and your plans will succeed. even the wicked for a day of disaster. they will surely be punished. 6 Unfailing love and faithfulness make atonement for sin. By fearing the Lord, people avoid evil. even their enemies are at peace with them. than to be rich and dishonest. but the Lord determines our steps. he must never judge unfairly. he sets the standards for fairness. for his rule is built on justice. he loves those who speak honestly. the wise will try to appease it. his favor refreshes like a spring rain. but the Lord tests the heart. liars pay close attention to slander. those who rejoice at the misfortune of others will be punished. parents[a] are the pride of their children. even less are lies fitting for a ruler. whoever gives one will prosper! but dwelling on it separates close friends. than a hundred lashes on the back of a fool. but they will be severely punished. than to confront a fool caught in foolishness. evil will never leave your house. so stop before a dispute breaks out. both are detestable to the Lord. or deny justice to the innocent. they are asking for a beating. they trap themselves with their lips. that sink deep into one’s heart. the godly run to him and are safe. they imagine it to be a high wall of safety. is both shameful and foolish. but who can bear a crushed spirit? 15 Intelligent people are always ready to learn. Their ears are open for knowledge. it gives access to important people! it settles disputes between powerful opponents. 19 An offended friend is harder to win back than a fortified city. Arguments separate friends like a gate locked with bars. the right words bring satisfaction. those who love to talk will reap the consequences. and he receives favor from the Lord. the rich answer with insults. but a real friend sticks closer than a brother. The name of the Lord is a strong fortress; the godly run to him and are safe. We are only safe when we take heed to the commands that God has required of us. When we do his will we can't get off track. Speech takes wisdom, daily living takes wisdom, being a great woman of God takes wisdom, marriage takes wisdom, raising your children takes wisdom. So in order not to kill our family and to be a good wife wisdom is the key. 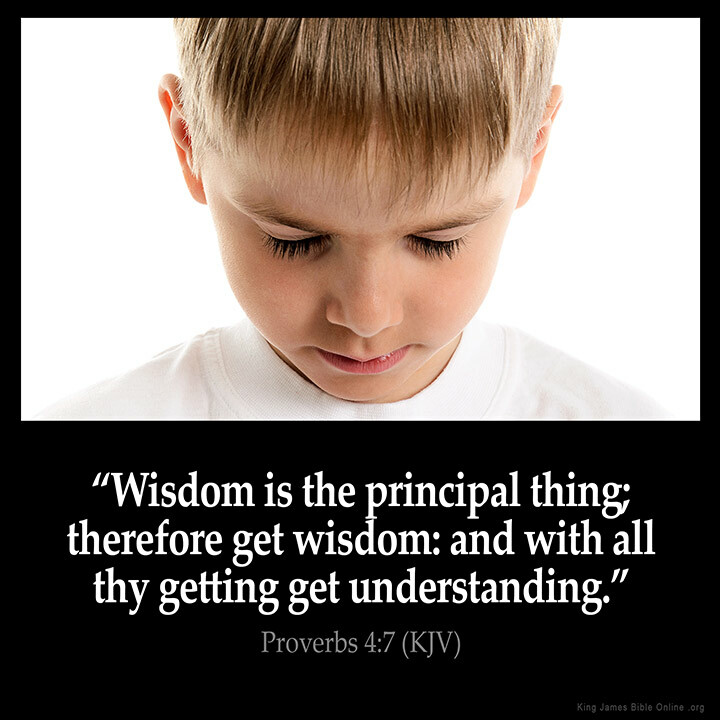 Amen give us divine wisdom and understand. We have to be able to speak to our own situations to bring life in it. Help me to be a real friend Lord. Thank you Lord for the Book of Proverbs...must clarification. These Proverbs and poems and writings are things that I myself bring to remembrance when needed I love a lot of these " There are friends who destroy each other, but real friends stick closer than a brother." The mouths if fools are their ruin; they trap themselves with their lips. part of my wisdom necklace.